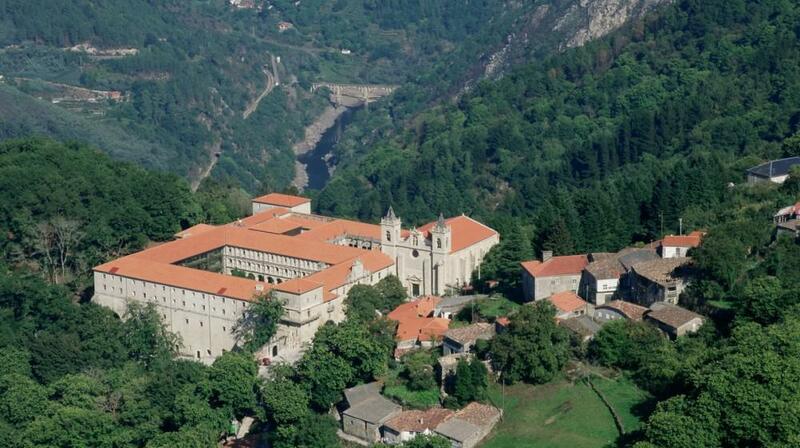 In the heart of the Ribeira Sacra, original natural area of beauty with the Minho and Sil rivers, the Monastery of Santo Estevo Rivas de Sil is one of the monastic centres of Galicia and is now a great tourist attraction. 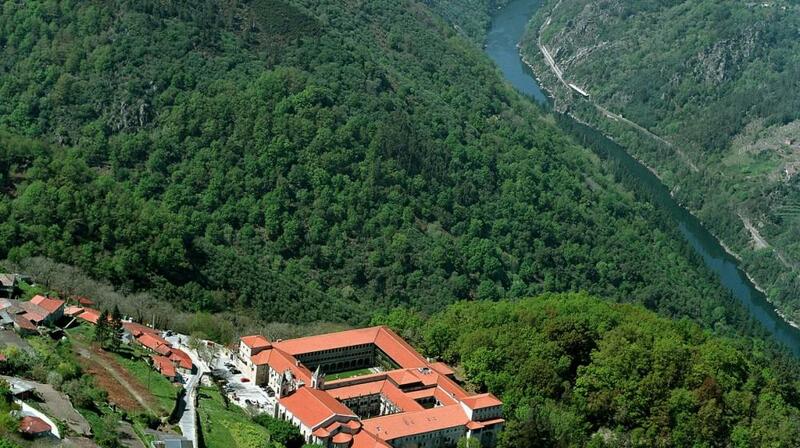 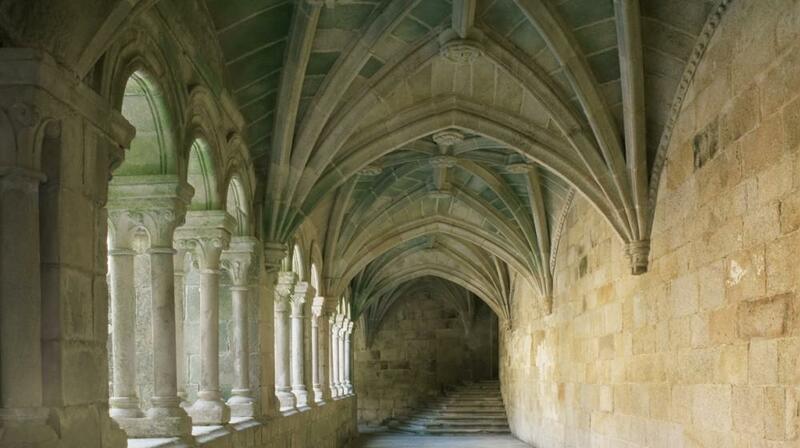 The existence of the monastery, located in the Municipality of RamuinNogueira at 28 km from Ourense was demonstrated in the tenth century even it its origins seem to refer to the sixth and seventh centuries. 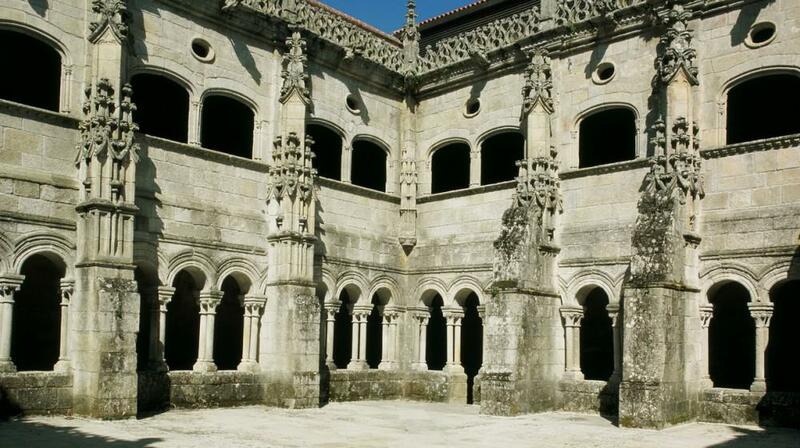 The construction has different styles that alternate between Romanesque and Baroque and include three groups of different ages (Romanesque, Gothic and Renaissance). 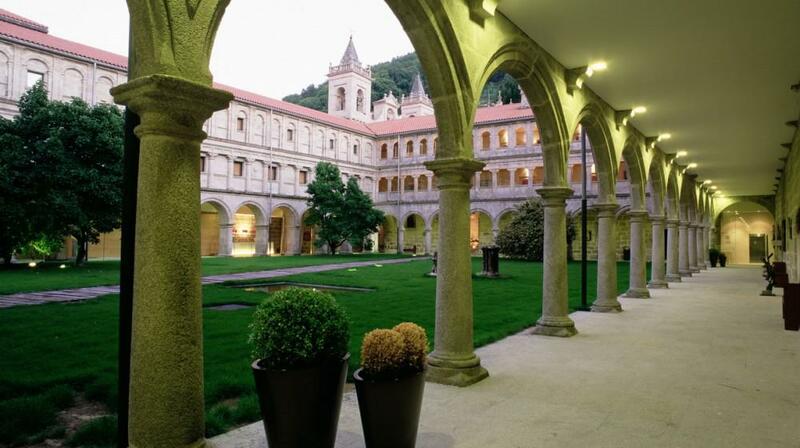 The Parador has elegant meeting rooms that may accommodate up to 300 people and a total of 77 rooms, each different and distributed along the cloister. 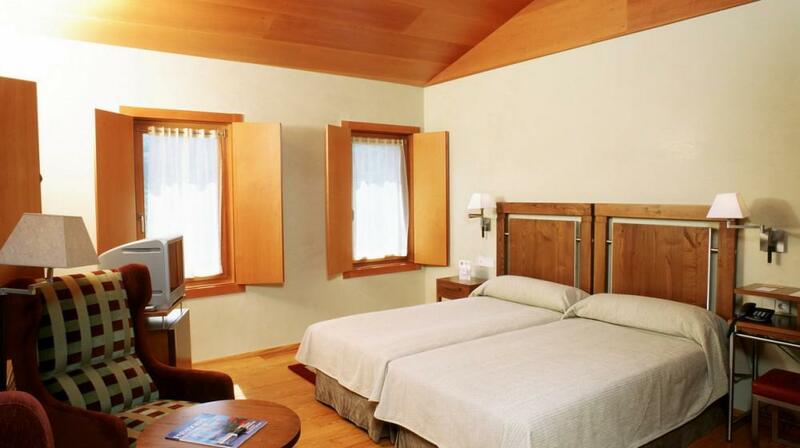 Some rooms have a view of the canyon of the river Sil such as the luxurious suite dedicated to the “Franquila Abad”, the first abbot of the monastery, with a living room, a large bathroom with Jacuzzi and a room with three windows that face the canyon. 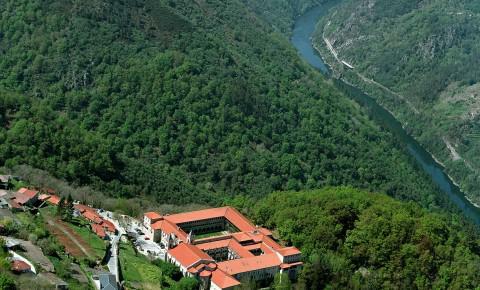 The hotel also has a restaurant with a terrace, close to the chestnut tree forest, terraced bar in the cloister, meeting rooms and splendid gardens, without leaving out the magnificent spa centre in the Ribeira Sacra so that guests may relax and enjoy themselves. 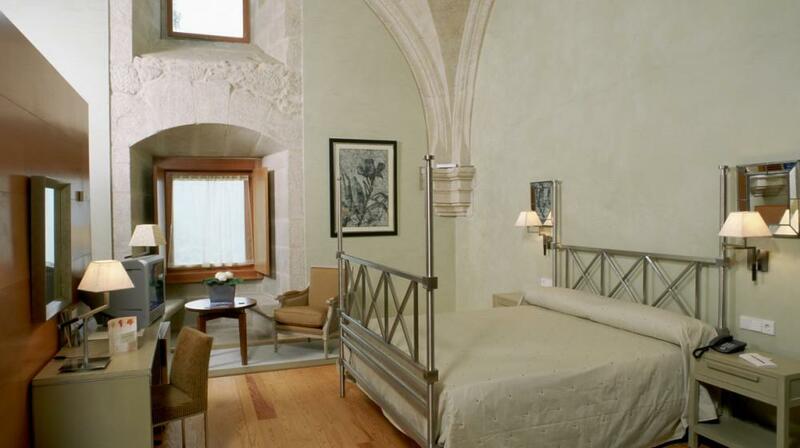 Stay in a medieval monastery and at the same time enjoy treatments such as massages, seaweed or mud wraps, active pool with jets of water, Jacuzzi, outdoor hot tubs, emotional showers, sauna, hammam, relaxation area. 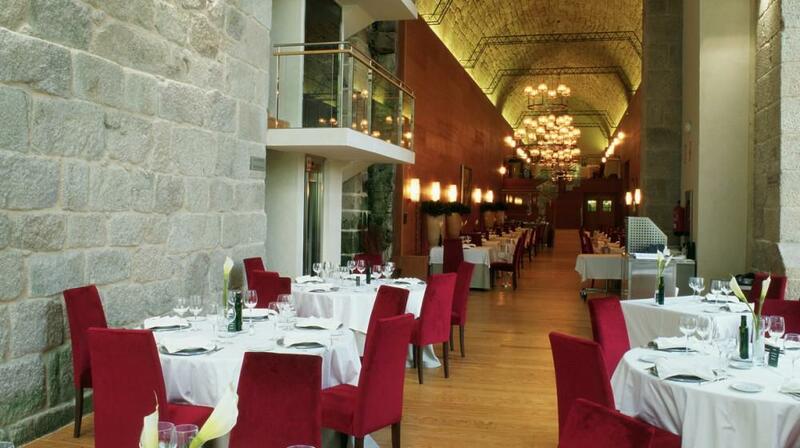 Spa, history, nature and a careful and succulent cuisine to make your trip unforgettable: the typical dishes are the products of the River (octopus, eel and trout), excellent Galician beef, shoulder of pork with turnip tops, broth and traditional Galician cuisine. 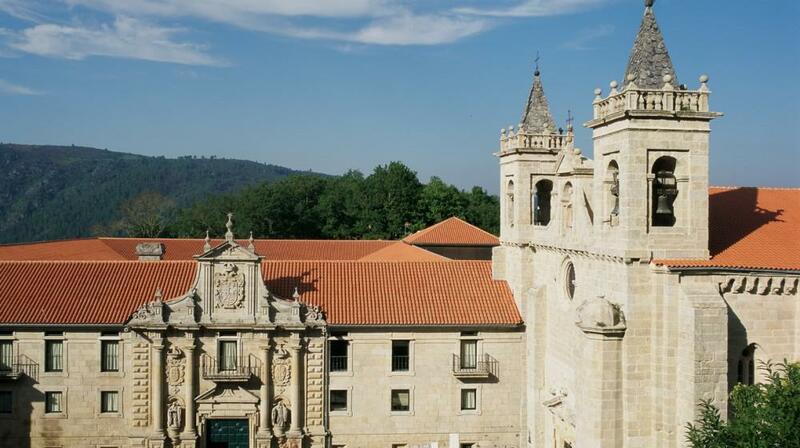 The desserts include the Trives and BicaBicaCaldelas de Castro, and especially: wine culture. 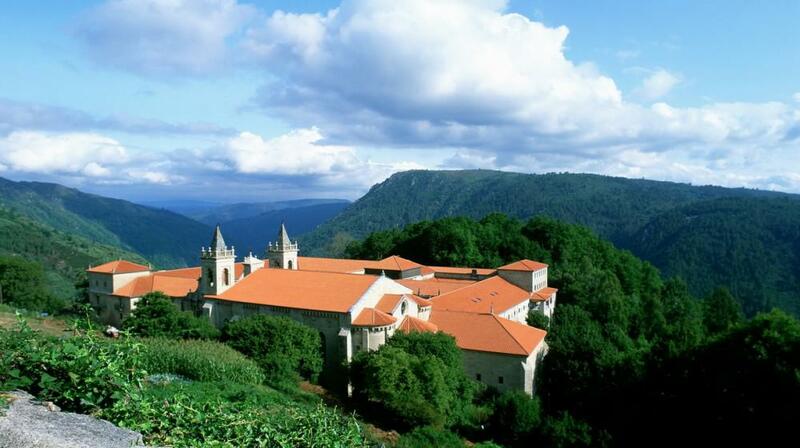 Nature lovers can enjoy the landscape on the banks of the rivers Sil and Miño, while the Romanesque Road offers visits to churches and monasteries of the late 12th and 13th centuries.